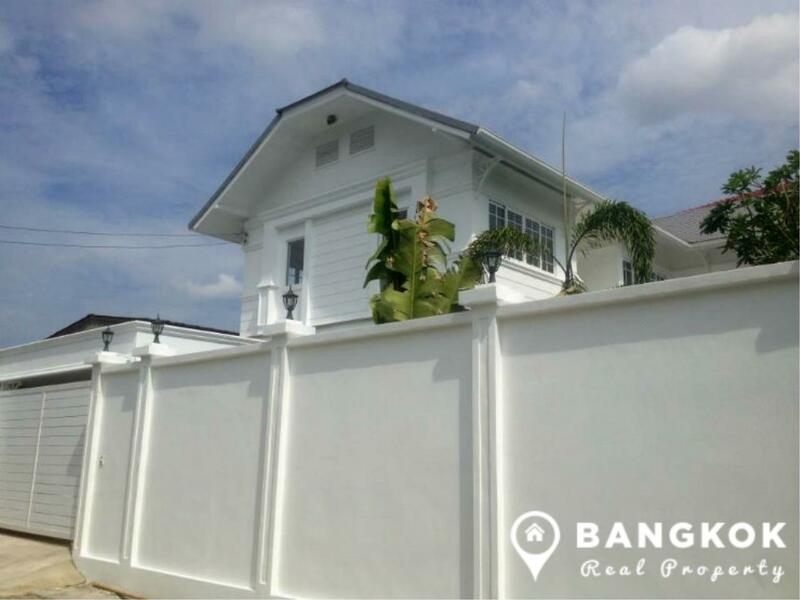 brand new built, modern, colonial style, detached Sukhumvit house is now for sale just off Sukhumvit 71 and within easy reach of Phra Khanong BTS station. 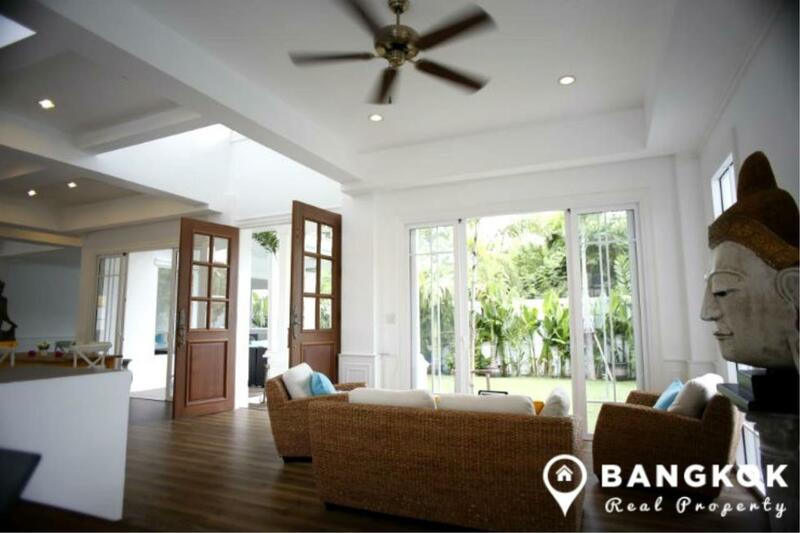 This spacious Sukhumvit house comes with its own private outdoor salt water swimming pool and its location offers ideal city living for a house with easy access to Big C Center, Tesco Lotus, Major Cineplex, Gateway Mall, several top international school including St Andrews and the 42 T-Off Golf Driving Range. 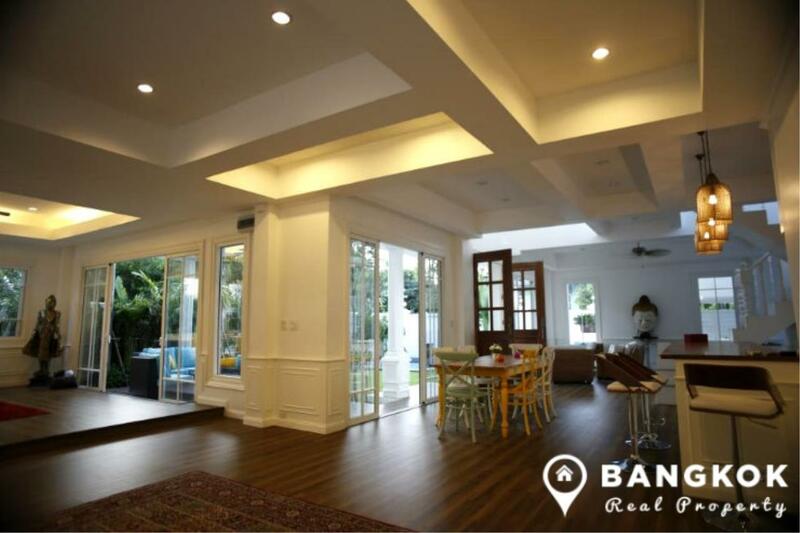 With 2 floors, this detached new Sukhumvit house has 3 double bedrooms, 3 stunning modern bathrooms and 480 sq.m of living space. A bright, airy open plan living room – dining room has patio doors to the terrace sala and the swimming pool, there is a fully fitted European style kitchen with full appliances. 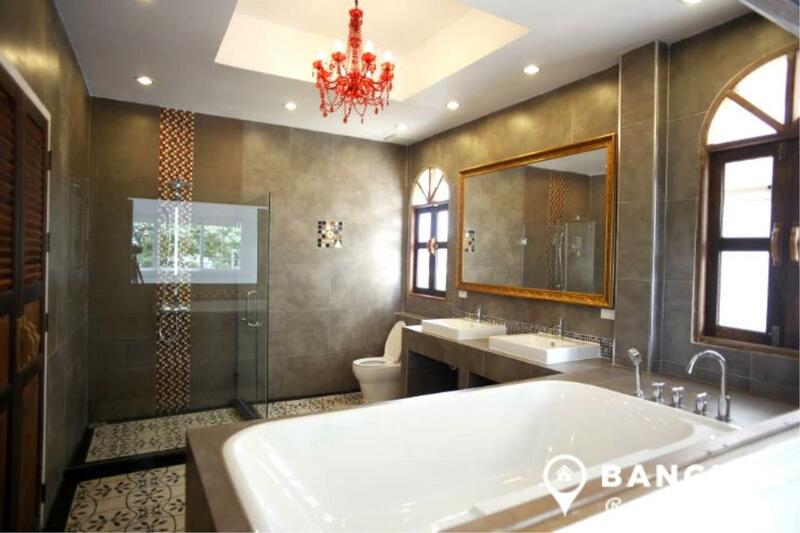 The master bedroom has an ensuite with bathtub and separate shower and there are 2 further bedrooms with a family bathroom. 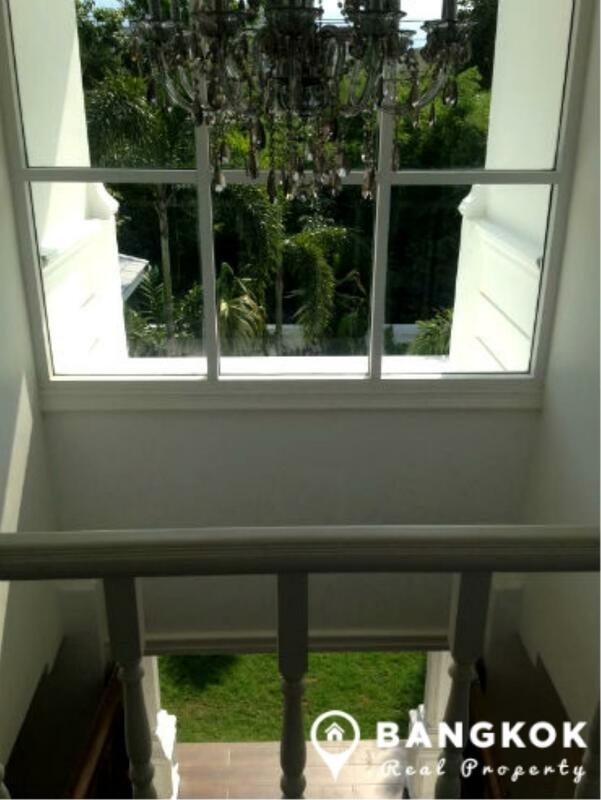 Outside this Sukhumvit house has lush tropical gardens, salt water private swimming pool and off street parking for 2 cars. Sale TermsFreehold TitleLand Department Taxes & Transfers paid 50/50 by the seller & the buyer.Pets are allowed.